"It’s 1915, and sixteen-year-old Lora Jones is finishing up her first year as a charity student at Iverson, a prestigious, gothic boarding school on England’s southern coast. While she’s always felt different from everyone around her, now she finally knows why: She is a drákon, a rare, enchanted being with astonishing magical abilities. This book was even better than the first! To me, it felt more cohesive, and had more of a developed plot. The characters had a true purpose in this book, and I loved the adventure that ensued. It’s not completely coiled up in the aspect of romance, which for me is good because I truly tire of that crippling factor in books. This is a book that is hard to put down! Smoke and Dragons, Songs and Stars. I may have had some anxiety in the beginning, because there was a lot of explaining of what happened in the previous book beforehand, like a long recap. I felt that if one has read the first book, then the recap didn’t need to go through so much of the beginning of the book, but then again, maybe it would be a refresher for someone who hasn’t read the first book since it first came out. 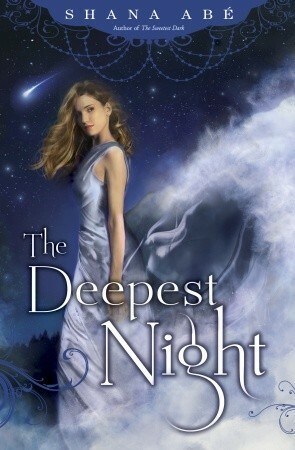 In all, though, The Deepest Night is spectacular and miles above the first book! With new revelations bringing about a dire quest, Eleanore and Armand must learn not only about themselves, but about their fate in the stars as well. The War is raging, and they find themselves smack dab in the middle of it with their own battle. “...but now I, Eleanore Jones–a girl without a true home or a past or even a middle name–was on my way across enemy lines to save the life of a man I’d never met. Because I could. I really loved this book, and how I fell more in love with the characters, not just because of their nonchalance of their position in society, but because of how strong they became both as individuals, and together. Strong characters, even with their mistakes and flaws, are really what make a book great! On that note, I love love love Armand! Eleanore get with the program! haha! With the epilogue, and Eleanore’s deal with the Stars, I’m so excited to read the next book, I can’t wait! I also would really like to know more about the drákon’s family histories, and am hoping to delve more into Eleanore’s unknown past. I absolutely recommend this book to those who love a good mystical paranormal fantasy with a historical blend.